Find out how to contribute and interact with our global community. 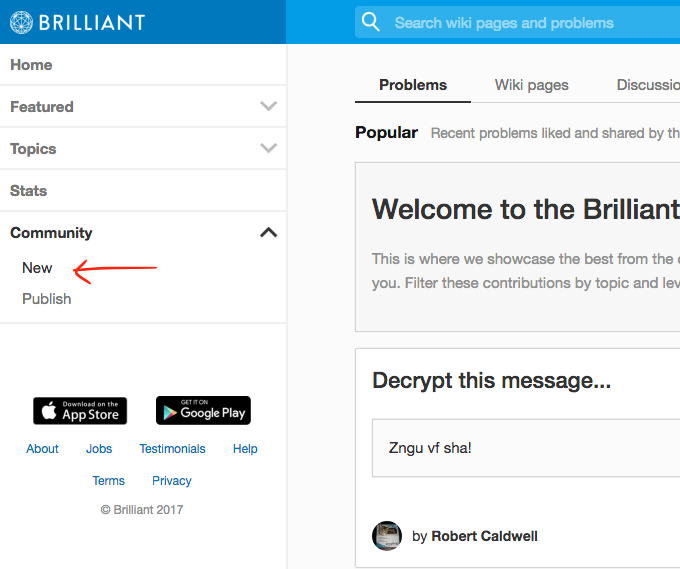 When you click on New under the Community tab, you will find problems, discussions, and wiki pages written by members of Brilliant's global community. We select the best problems and wikis to be featured in Problems of the Week and Wiki of the Day on the logged-in homepage. If you'd like to contribute, you may publish a problem, wiki page, or discussion through mobile or web browsers. Note that we currently do not support Community submissions through our iOS and Android apps.